When was the last time you treated your skin? When you look good, you feel good. About Face in Encinitas offers personalized esthetician services including the Hydrafacial skin care treatment. As featured on CBS The Doctors, the Hydrafacial provides cleansing, exfoliation, extractions and hydration while simultaneously infusing peptides, antioxidants and hyaluronic acids into the skin to give you a healthy, glowing look. Our skin care treatments are solution based, non invasive, non-surgical procedures that deliver immediate results without any discomfort or downtime. They’re great for all skin types and ages and for both men and women. Our estheticians are trained in the latest skincare technology, and we use state-of-the-art products to address your unique skin conditions and give you the best results possible. Teens Need Skin Care Too! 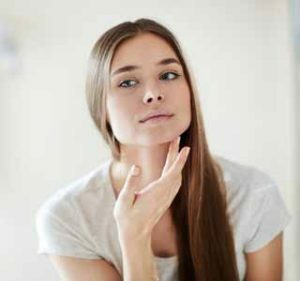 Skin problems can be miserable, especially for teens, and over-the-counter solutions often just don’t work. Help your teenager look his or her best! Our painless teenage facials cleanse pores and oils from the skin. We also offer extractions and masks and LED light therapy as needed for our adolescent clients. We use and sell the most advanced professional care products available: Lemieux , Dermaesthetics, iS Clinical, Lifeline Skin Care (non-embryotic human stem cells), MD Solar Sciences and Colorscience. Not only will your treatments include the most effective products available, but we can also provide you with the home care serums and products you need to keep your skin looking its best. Our affordable packages make it easy to create the healthy skin you want and deserve. Call 760.230.2901 today to schedule or contact us by email.